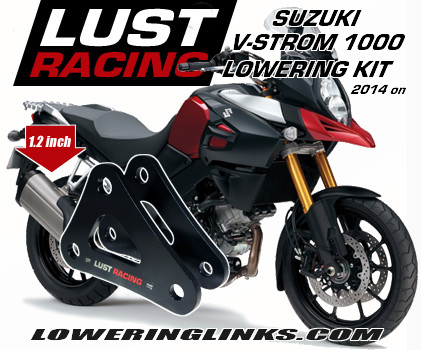 Suzuki GSR-750 lowering kit of high quality with lowering links made in roll forged steel. Lowers the rear suspension and reduces the seat height. Suzuki GSR 750 lowering links reducing the seat height by approximately 1 inch. 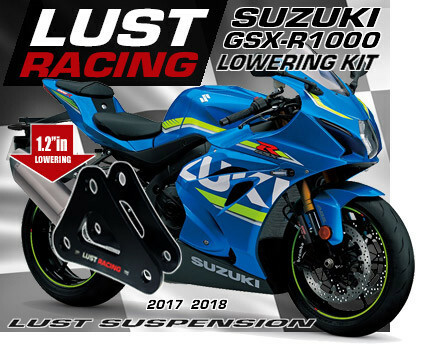 This lowering kit fits Suzuki GSR-750 models from year 2011 onwards. Made in roll forged steel these suspenison links will never fail. Perfect fit and high finish. Easy to install just replace the standard rear suspension tie rods with the new drop links in the kit. The lowering kit for for Suzuki GSR750 is delivered complete with installation instructions.